A sharp pain in the heel of the foot, often more acute after lying down for a long period of time, can be caused by damage, irritation or tightening of the plantar fascia ligament. This ligament is a band of tissue running along the sole of the foot that connects the toes to the heel. 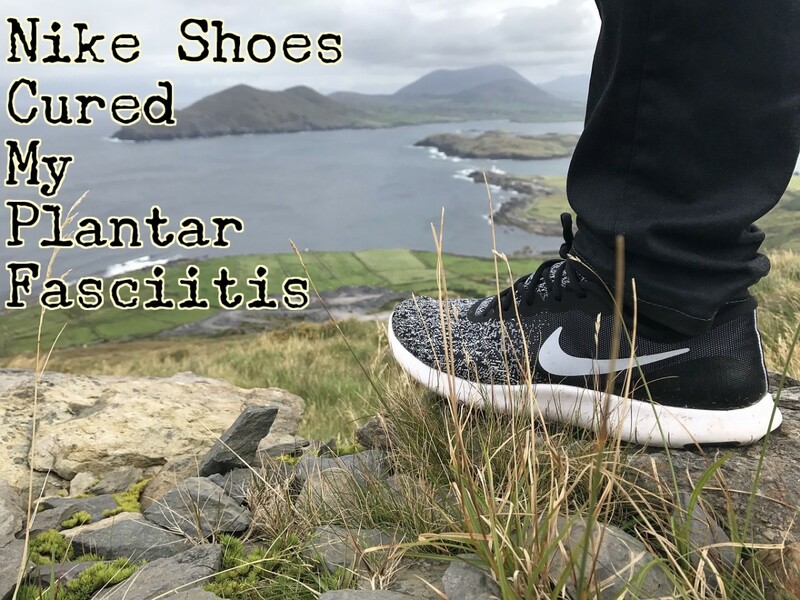 Damage to the plantar fascia, called plantar fasciitis, can be caused by standing for prolonged periods, by doing a lot of walking or running, and by weight gain - including during pregnancy. 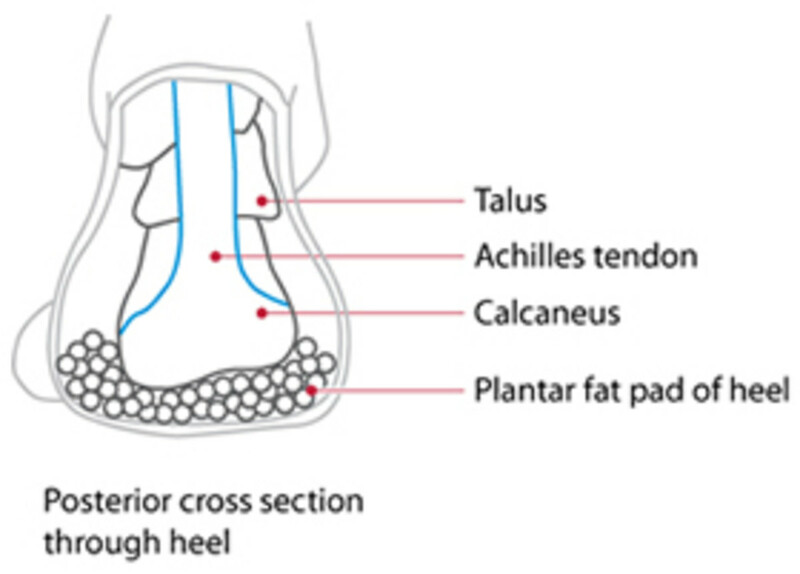 Tightness in this ligament, along with tightness in the calf muscle, causes a pain in the heel that stops sufferers putting their foot down flat. 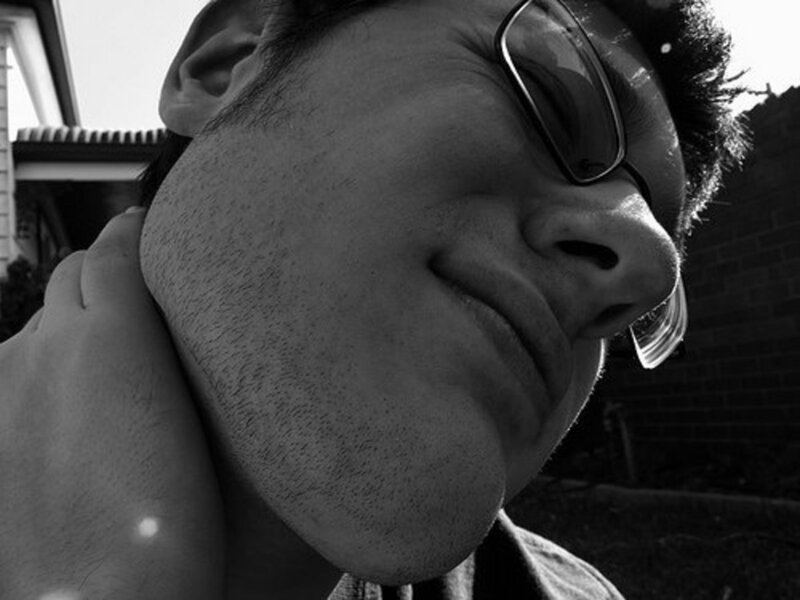 Often after a few minutes of hobbling around, the pain subsides as the muscles and tendons warm and stretch. If this is what you are experiencing, and there are no underlying medical issues, you may find stretching helps. 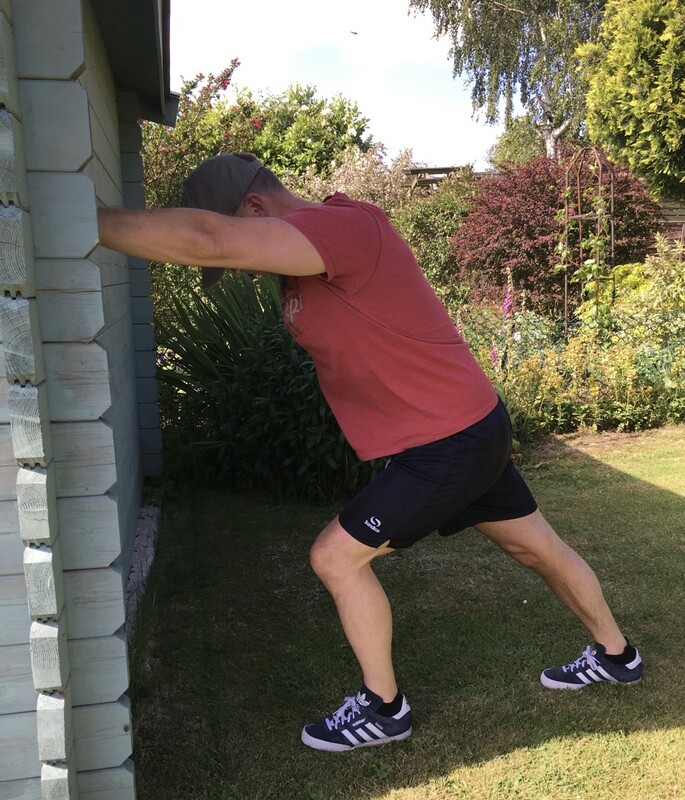 My husband, Derek, is a personal trainer, coach and fitness instructor who has helped many people manage their aches and pains by stretching. While not medically trained, he believes that gentle movements can help with many ailments. Pain in the heels is a common complaint that responds well to a couple of easy movements that take just minutes to do. Take a bottle filled with iced water, or a can of drink taken from the fridge, and sit down. 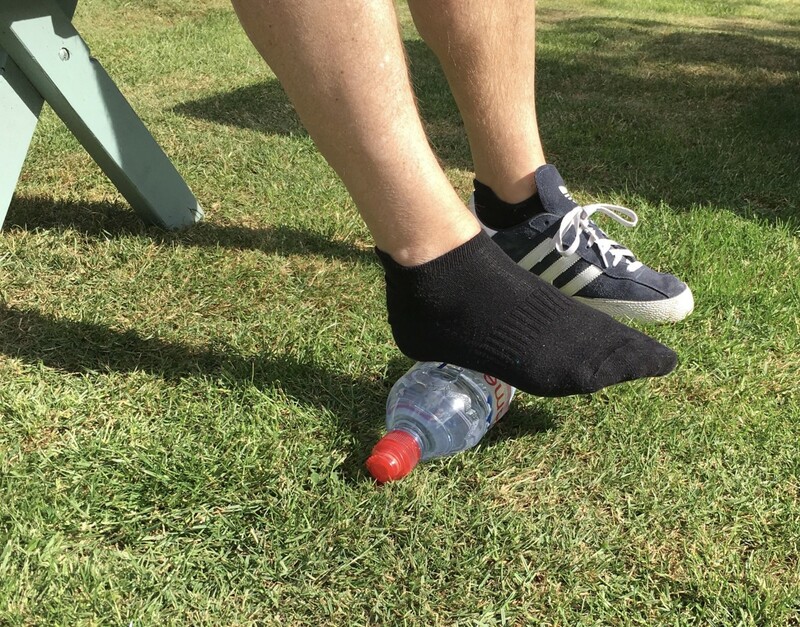 Place the drink container on the floor and roll the bottle or can under the sole of your foot from heel to toes applying a small amount of pressure. The idea is to massage and stretch the base of your foot where the plantar fascia is situated. The cold helps reduce any irritation. You can do this with or without socks, whichever feels best for you. The same movement can also be done with a tennis ball. Roll the ball backwards and forwards under your foot to treat foot pain. This calf stretch helps get rid of heel pain. Stand about two feet/half a metre away from a wall and put your painful foot out behind you. Place the foot flat of the floor. Bend the other knee and reach forward so both hands are on the wall. As you bend your knee, the painful foot should stay flat, and the leg straight, so you feel the stretch down the calf and to the ankle. Hold this for 15 seconds then deepen the stretch by bending your knee more. Count to 15 and stand back up straight. Take things slowly. Sitting on the floor, loop a folded towel around your foot near the toes. Gently pull the toes towards yourself keeping the leg straight out in front. 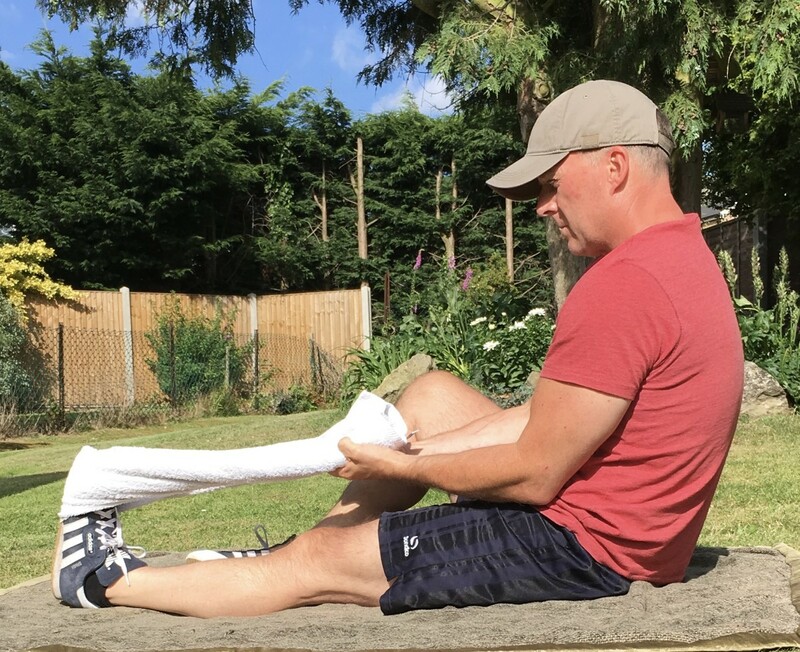 The stretch should be felt in the sole, calf and back of ankles (achilles). Hold for 15 seconds, then pull a little further to deepen the stretch for a further count of 15. This can be done sitting up in bed to get you walking in the morning after sleep. Do the movement slowly to avoid damaging the muscles and ligaments. You can do this with or without training shoes on. Using a step inside or outdoors, you can do a deep stretch which really helps with pain in the heel. This might be a movement you try after you have already eased the pain using the other methods. Steadying yourself on a wall or chair back, stand on your toes on the edge of a step. 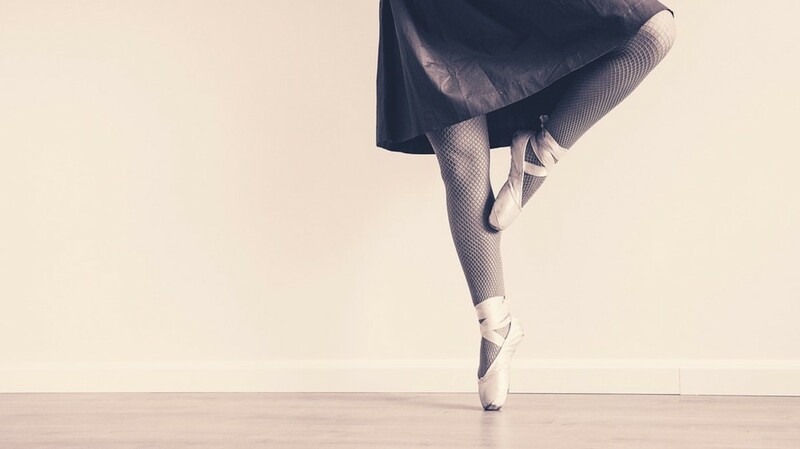 With all the weight on one foot, lower the heel slowly. The stretch should be felt down the calf, along the achilles and along the sole of your foot. Hold for 15 seconds, then try and lower your heel further for another 15 seconds. Make sure you hold onto something so you do not lose balance and strain the leg. This should be done in footwear. Do these stretches several times a day to start with as you lengthen and loosen the muscles and ligaments. The pain should subside and then eventually go altogether if you stick with it. Keep the movements slow and fluid at all times. As the heel-ache goes, keep doing the stretches from time to time to keep the muscle loose and to stop the discomfort from returning. If you experience any acute pain, stop immediately and seek medical help. What is the cause of the side of my heel to hurt when stretched? If it's the side of the heel, it might be ankle ligament damage which is probably not going to be helped with these stretches. If you have turned your ankle recently, or have in the past, then strapping this kind of injury is probably best. That said, it is impossible to tell via an internet message so do this with caution and think about getting someone to look at your injury. I know just how they feel! I have suffered plant fasciitis in the bottom of my left foot, near the heal, and that really hurts! I found that bandaging it up for weeks on end helped. Now its gone, touch wood! I have been suffering from pain in my feet in the morning. I will try these stretches. I was worried it may be arthritis so I am anxious, to try these. I am so glad I found your article. These are some great tips for people to try out. I for one know that I will be trying these out to relieve some pain that I do get from time to time. Thanks for sharing these. Great work. I think these are excellent solutions for pain and stiffness, all in one Hub and I will refer to it again. Thanks for writing this.